We were overjoyed when we tuned into E4 this morning, only to see our favourite hip hop family on the screen. 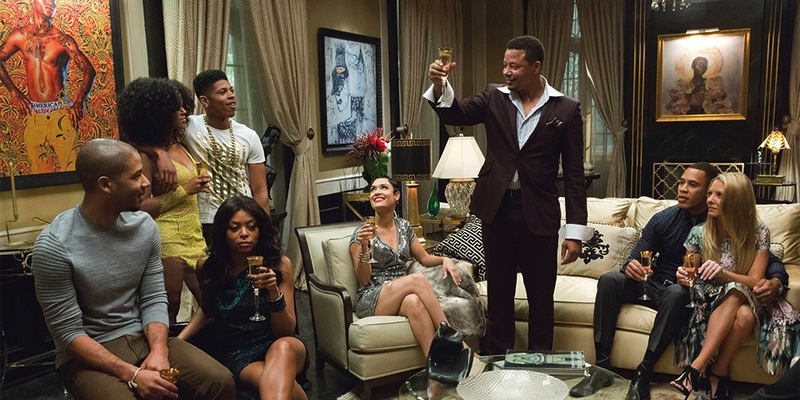 That’s right; at long last, Empire has been given its UK air date! The first season of the smash hit will premiere on E4 on April 28th for your viewing pleasure. Like King Lear updated for the hip hop generation, Empire follows the trials and tribulations of Lucious Lyon (Terrence Howard), a talented artist and CEO of ‘Empire Entertainment’, who must choose which of his three sons will inherit his hip hop kingdom when he is diagnosed with a debilitating illness. Meanwhile, his estranged wife Cookie (Taraji P. Henson) – A.K.A the reason we all fell in love with Empire in the first place – emerges from prison to claim her share of the business. Musical superstar Timbaland serves as a producer on the show, and alongside songwriter and producer Jim Beanz has been responsible for creating the series’ original soundtrack, which topped Billboard’s ‘R&B/Hip-Hop Album and 200 Album Charts’ in the US. If that weren’t enough, the show’s first season boasts a string of guest stars including Naomi Campbell, Courtney Love, Snoop Dogg and Rita Ora.